The Columbia Western Rail Corridor was crucial in the development of the West Boundary. The discovery of gold, silver, copper, fluoride, limestone and other precious metals came on the heels of the California gold strikes and Americans were trying to develop dominance in the development of the region. Rail lines were being developed from the USA to make ready to haul the ore to the states to be processed. The push for a rail line was extremely important to the BC government. 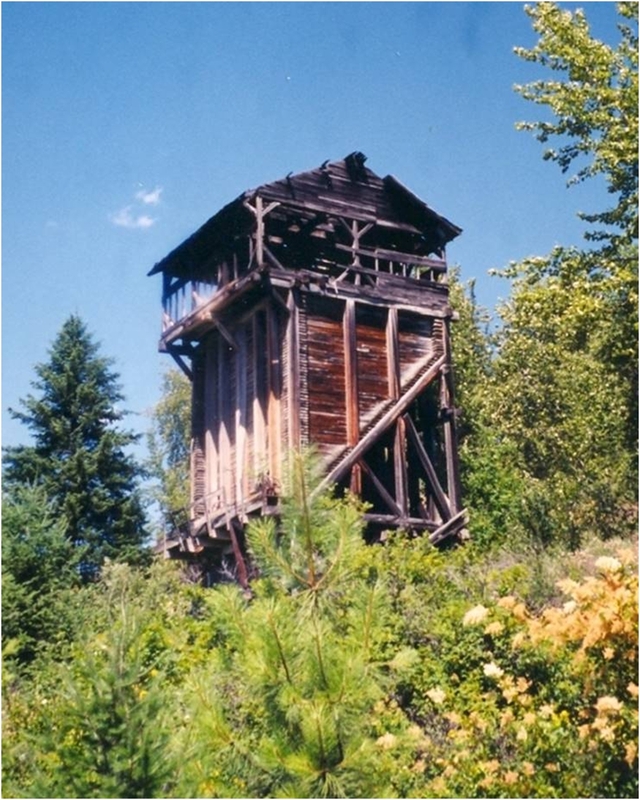 The Gold Act was passed in 1850, Dewdney trail was being built, silver and gold were discovered in the Nelson area and travel by paddle wheel was prevalent in the Kootenays. Rail tracks had been laid to connect to the Arrow Lake SS Moyie Terminal. Rossland ore was being hauled by an American rail system. There was a critical need for a connecting rail system to the Boundary rich ore.
One of the last remaining infrastructures on the C/W rail line is a liability to the land owner. The Limestone Tipple is located in Fife, a small community located near Christina Lake, BC. This community, like many others located along the rail line, was developed during the construction of the Canadian Pacific – Columbia Western 1899-1900. Fife was home to a siding, post office, general store and boarding house. Many existing families’ histories can be traced back to Fife. Limestone was discovered in 1898 and a quarry (mine) was established. Limestone is used as a flux for smelting ore. The first loads were loaded by wheelbarrow onto rail cars to be used at Consolidated Mining Smelting (Comico Teck). There were three quarries located at this site during its history and as technology improved the wheel barrows loading the limestone were replaced with modern tools. One of these improvements was the Tipple loading chute. This structure was built in 1920 when the second quarry was opened. It was made from large columns placed around the 21 x 25 ft bottom supporting its 75 ft height. The bins were made by flat lapping the lumber resulting in very strong bins. A loading structure was placed on top where rail cars could roll in and dump their ore directly into the bins. The rail cars would be spotted on the siding and the large bin doors would be rotated to allow the limestone to fill the rail car. Over 52,000 tons of ore was mined from this site from 1911 until the number three quarry closed in 1957. In April, 2015 Cominco Teck commissioned an engineer’s report. The report shows the whole structure is unsafe, and represents a liability to the area. Teck has decided to remove the structure. 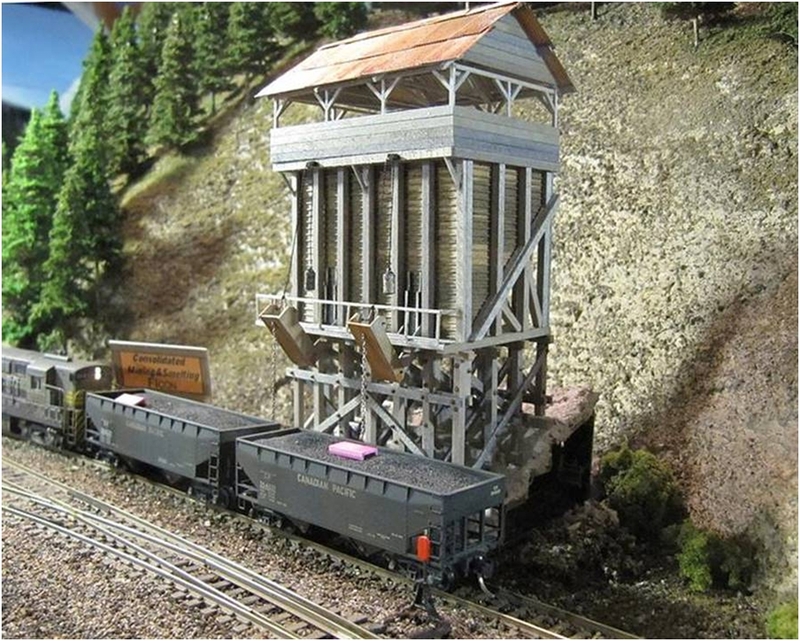 The CWTHS partners would like to build a smaller 12 x 16 ft replica of the top structure, the area where the ore cars traveled over top of the bins and dumped the loads into the bins. They would explore the cost of a model of the complete tipple. Signage recognizing the heritage of the area would be constructed. The interpretive center could be used for family gatherings and shelter by shared trail users. The educational value would be heritage, etiquette, invasive species control and promoting local tourism. Many of Fife families were employed in jobs relating to the rail such as mining, sawmill, cedar pole logging, stores and farms located near Fife. Many were of Italian descent shown by names such as Tambellini, Tedesco, Mazzochi, Timberlake, Ferraro , Maida, Clarkston, Fornelli, Decembrini and Cicconi. Many other families lived in Fife contributing to the life of the area. Many of the region’s residents can trace their lineage to these families. The building will be built to look as close as possible to the top structure with post and beam. It will be open from 4 ft up on three sides with bracing. We will have to use trusses and aluminum roofing.